See the full statement copied below. 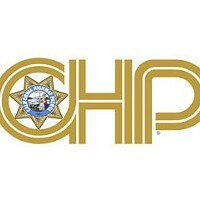 UPDATE: The CHP has released the name of the two men killed in last night's wreck. Dennis Wendt, 69, was a prominent local contractor. Roger Harwood, 67, was a Vietnam veteran honored by the city of Fortuna in 2014. The deaths of two passengers early Friday morning has brought the year's vehicular fatality total up to 22 in Humboldt County. 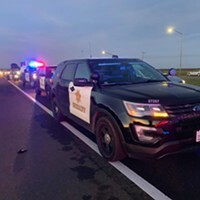 The California Highway Patrol reports that at 3:20 a.m. a GMC Yukon driven by Steven Murray of Fortuna left U.S. Highway 101 and struck a light pole and redwood tree. The vehicle overturned, killing two passengers. Murray was transported to St. Joseph Hospital in Eureka with moderate injuries. The wreck is still under investigation. Garberville CHP Special Duty Officer William Wunderlich said he had no information as to whether or not intoxication was a factor. 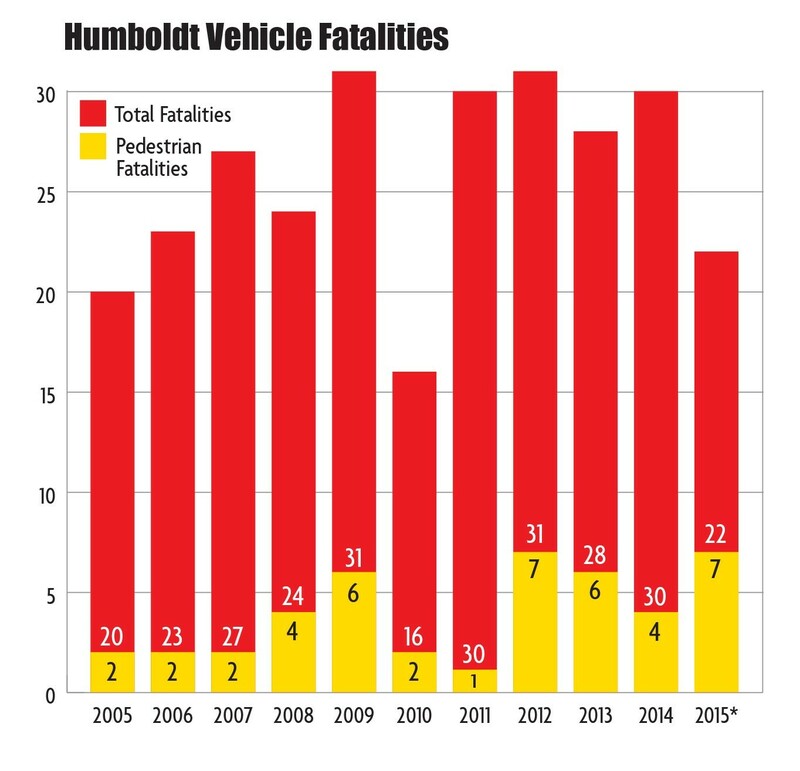 Humboldt County has one of the highest rates of vehicle fatalities in the nation, with fatal accident rates double the national average and nearly triple those of California. The number of fatalities in 2017 is on pace to rival numbers from the previous decades, the highest of which were 2009 and 2012, which saw 31 total road deaths, a combined number of vehicle and pedestrian fatalities. So far in 2017, 15 people have been killed as the result of collisions and seven pedestrians have died after being struck by vehicles, putting the county on pace to record 40 roadway fatalities by year's end. From the September 3, 2015 cover story, "Crash." 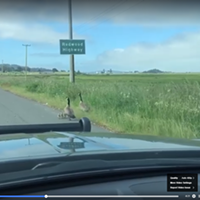 On July 21, 2017, at approximately 0320 hours, a 2002 GMC Yukon, driven by Steven Murray of Fortuna, CA, was traveling northbound on US-101 just north of French Road. For reasons still under investigation, Murray allowed the GMC to run off the east road edge and collide with a light pole and redwood tree. The collision with the redwood tree caused the GMC to overturn as it traveled down an embankment adjacent to US-101. The GMC eventually came to rest on its left side within the lanes of Maple Hills Road. Two of the passengers in the GMC sustained fatal injuries and were pronounced deceased at the scene. Murray was transported to St. Joseph Hospital in Eureka, CA with moderate injuries and at this time is in stable condition. The names of the two passengers are being withheld pending notification to the next of kin. Maple Hills Road was closed for scene investigation. The California Highway Patrol, Humboldt County Sheriff's Department, Phillipsville Volunteer Fire Department, Miranda Volunteer Fire Department, Cal Fire, City Ambulance of Eureka, and Cal Trans all responded to the scene. This collision remains under investigation by the Garberville CHP. Fortuna, CA – The City of Fortuna is deeply shocked and saddened by the tragic loss of longtime residents Dennis Wendt and Roger Harwood. The lives of every citizen in the City of Fortuna have been forever touched in some way by their generosity and community minded commitment to making our town a better place to live, work and play. City staff joins the community in mourning the loss of these hard working devoted men and the enduring legacy they have made on our City. We send our deepest condolences to their families and friends. We shall miss them both.